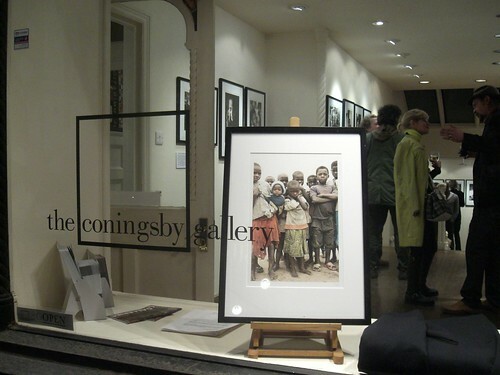 ‘One Second of Light’ is GILES DULEY’S first UK solo show, and The Coningsby Gallery (situated off Tottenham Court Road) is the perfect little gallery space to hold his beautiful photographs. When I spoke to him on the night, he said how he had gone to the gallery to hang his work and it somehow managed to work from the first time – the frames spaced perfectly. This falling into place seems to be a recurring theme for Duley; the meaning behind the name of the exhibition comes from the decision to include forty-four photographs, and if you add up the exposure times of the photographs it totals one second. My sensitive nature immediately found the images to be harrowing and upsetting, but this is not the point of the exhibition. The self-funded trips Duley has taken in order to bring back these photographs have led him to refugees, war widows, acid burn survivors, orphans and former rebel soldiers. He has travelled far and wide to open our eyes to these people. They are strong, despite the horrific things they have experienced in their lives, which are explained in a caption below each frame. The images draw you in; the expression on their faces and the look in their eyes give you a glimpse of their life, just for one second. Duley is a master of light; shafts of sunlight breaking into his photographs, glistening on the surface of the subject’s skin, reflecting on their glassy, Disney-like eyes. 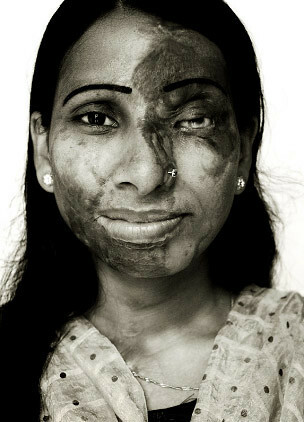 I noticed in a photograph of an acid attack survivor that she is lying on a Mickey Mouse duvet, and if you look closely at the fabric, you can see the words ‘I wish I could fly’. This sums it up for me – that if it weren’t for circumstance, these people would fly, and be free of the trauma that they carry in their minds every day. 100% of proceeds from the sale of limited edition prints go towards funding Giles Duley’s humanitarian efforts. The exhibition runs from 7 th – 11th December. This entry was posted on Thursday, December 10th, 2009 at 10:23 am and is filed under Art.